Kearny, New Jersey - The Rockland Rowing youth team had an outstanding day on the Passaic River capturing six event medals where the girls medaled in every event entered. Races were contested over 1500 meters. Medals were awarded to novice crews based on time trial finish order. In the girl's frosh/novice double sculls Jacqueline Doherty Clarkstown South '21 and Shoshana Ronen IHA '20 captured the first medal of the day for the team. They finished in second-place clocking in at 9:27.2 ahead of Westfield (9:32.9) and behind Nereid (7:46.3). In the girl's frosh/novice quadruple sculls Georgia Young Ridgewood '21, Hannah Hely Tappan Zee '21, Olivia De Maria Northern Highlands '20 and Leyla Arcasoy IHA ' 20 finished in 6:31.2 behind Ridgewood (6:16.1) but ahead of Westfield (7:03.0) and three other crews. In the varsity events also run as time trials, bronze medals were awarded to third-place finishers and first and second-place finishers qualified for a side by side grand final to determine medal color. In the girl's varsity lightweight double sculls morning time trial Michaela Davidson Clarkstown North '18 and Caroline High '22 covered the course with the fastest time in 6:43.6 to qualify for the grand final along with Nereid (6:50.4) who finished second. Rockland's Lucy Jackson Nyack '18 and Lucinda Carroll Nyack '19 captured bronze (7:14.1) and were well ahead of Whitemarsh (7:41.5) in the same four boat race. In the grand final Davidson and High went 6:51.7 knocking out Nereid (6:56.5) in the two boat race for the gold medal. 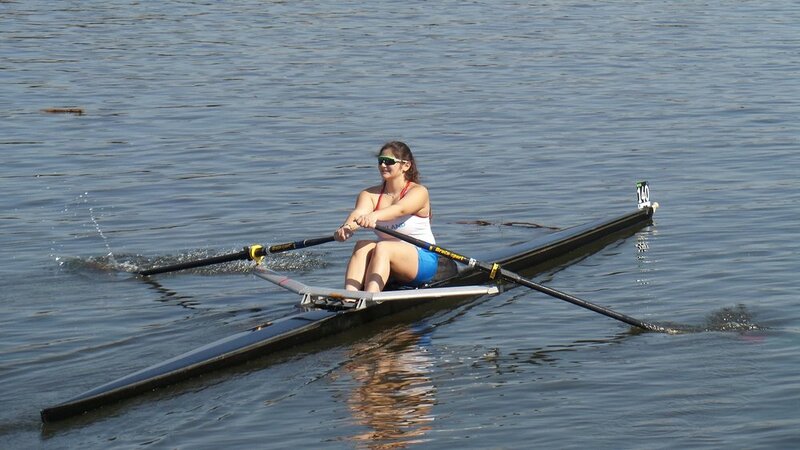 Chloe Young Ridgewood '18 was second in the girl's varsity single sculls morning time trial with a time of 6:48.0 finishing less than one second back from Oak Neck Academy's Josie Coleman (6:47.2) and well ahead of third-place finisher Jordan Craig from Nereid (7:00.1) and five other competitors. In the dual race grand final, Young clocked in 7:19.2 as Oak Neck retained the top spot (7:11.4). Coleman was a single sculls grand finalist in the NY State Championships last year and this was Young's second time competing in a single. 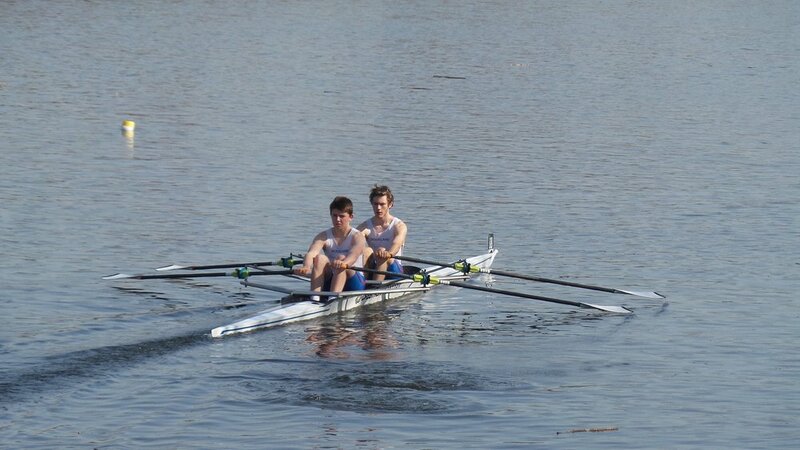 In the boy's varsity double sculls time trial Anthony Rostek Tappan Zee '20 and Ryan Almond Clarkstown North '20 finished second in 6:02.4 behind Oak Neck Academy (5:59.5) clipping bronze medalist's Nereid (6:02.5) by one tenth of a second for a spot in the grand final. 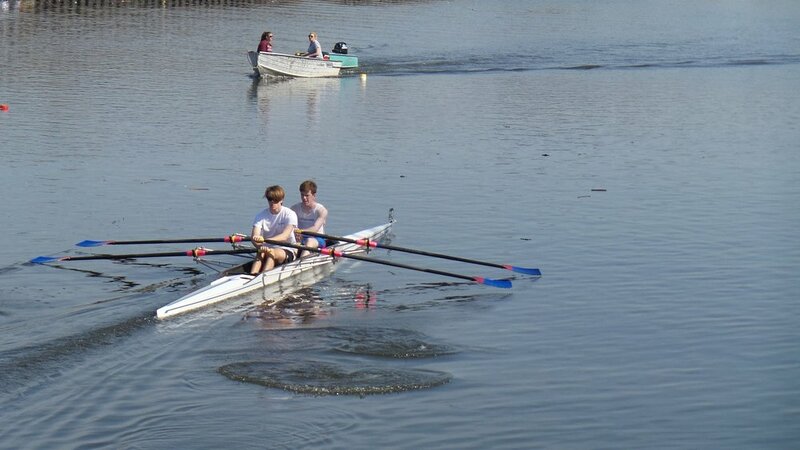 In the afternoon grand final racing only two abreast, 10th graders Rostek and Almond coached by Veli Etropolski finished a respectable second-place in 5:51.5 behind the 12th graders from Oak Neck (5:47.7). 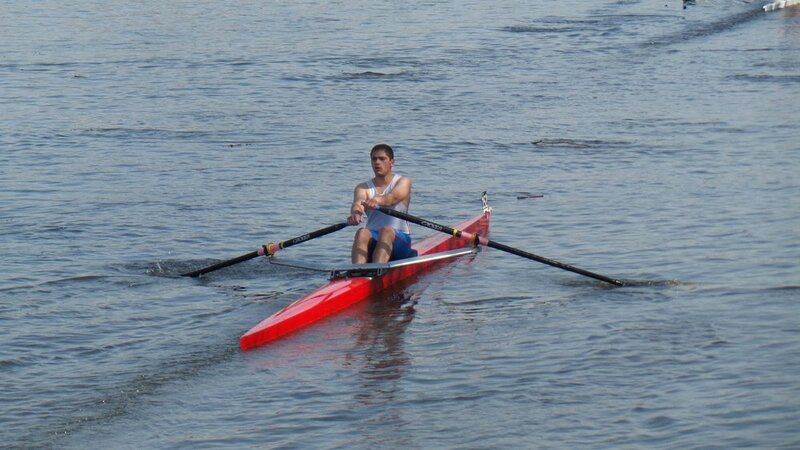 Up next, the team will travel to West Windsor, New Jersey for the Mercer Sprints Regatta on Sunday, April 22.